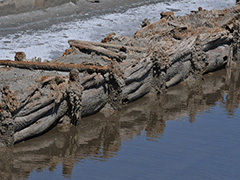 Biological Management of Solar Sea Saltworks: Design concepts, features and management techniques that enable microorganisms dwelling in the ponds of salinas to aid salt production, mitigate disasters, and permit continuous and economic manufacture of high quality salt at design capacity. We don't know how many, ecologically and evolutionarily important microbes, exist in Salinas. However, we do know that if Solar Salterns are destroyed, we will lose a significant source of microbial biodiversity. The highly diverse biological system of solar salterns, with evaporation ponds and crystallizer ponds of different salinities, with often-high densities of phototrophic microorganisms, planktonic as well as benthic, makes the salterns excellent model systems for the study of primary production and other microbial processes. Practices relating to Environmental Education in Brazilian salines appear on the pre-requisite list of the State Env. Agency. The challenge is to make an environmental education in a critical and innovative way. It should be a political act, geared toward social transformation seeking a perspective that relates to man, nature and universe. 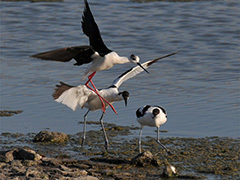 Rehabilitation of abandoned Saltworks provide enhanced nature conservation areas that can become part of ecotourism networks. It has great potential to accept stream input from landscape and reduce, via nutrient removal - natural biological processes, the loading and potential contamination of coastal areas. 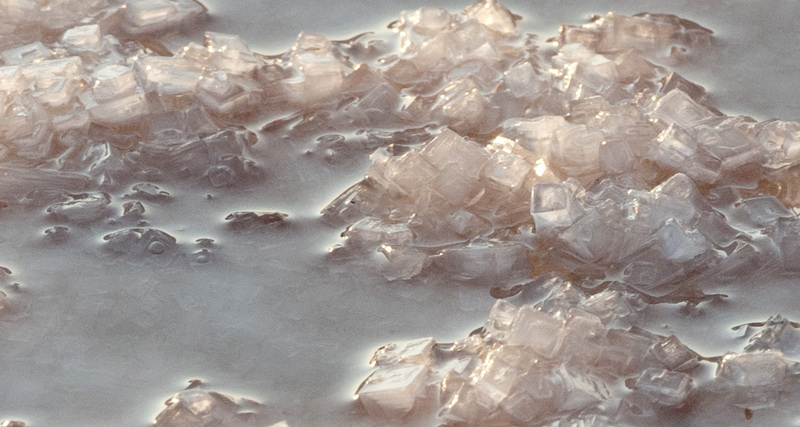 A comprehensive explanation of the biological, chemical and physical mechanisms that cause sodium chloride to crystallize as monocrystals from “healthy” brine or as agglomerates from “organics containing” bitterns, has not yet been developed. Current, industrial Solar Saltworks are wealthier and more stable ecosystems than the traditional ones. In other words, optimization of the Solar Saltworks production process results in a better and more integrated ecosystem. 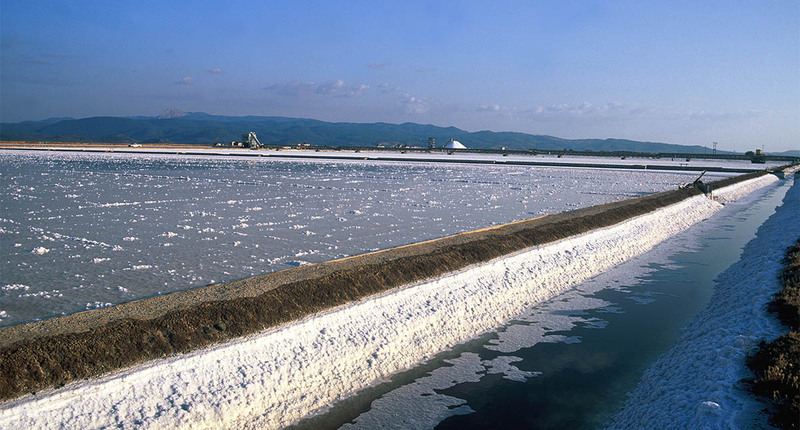 Solar Saltworks have produced salt by solar evaporation of seawater since the dawn of human civilization. However, recognition of the unique coastal ecosystem that has progressively developed in parallel, with the sea salt production process evolution is often lacking. Current, industrial Solar Saltworks consist of a system of interconnecting lakes in series, properly designed and constructed. 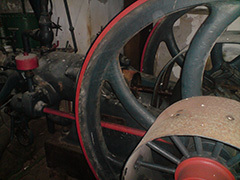 The seawater enters (by tidal action or pumping) the first lake in the row and appropriate control gates regulate its flow into the lakes system. The incident solar radiation, assisted by the wind action, evaporates the seawater and develops a salinity vector in the lakes that results in salt crystallization in the latter lake in the row (physical process). That salinity vector, gives simultaneously rise to a characteristic chain of microorganisms throughout the lakes system, which grow in planktonic and benthic communities and consist of species that cover all existing domains of life, Eukaryotes, Bacteria and Archaea (biological process)! 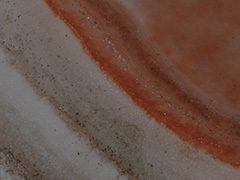 The environmental uniqueness of Solar Saltworks lies on the fact they are Constructed Coastal Ecosystems where regular and hypersaline environments coexist establishing high significant shelters for wild life. Competent Authorities should globally identify Solar Saltworks as Constructed Wetlands, similar to natural Saline Wetlands and include them in the list of protected ecosystems where human intervention helps the wild life. The establishment of an effective liaison between all persons interested in any aspect of Solar Saltworks is the key tool to meet our objectives.